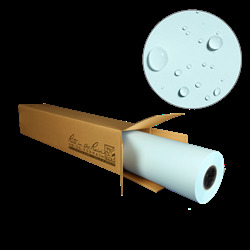 Rite in the Rain patented wide-format xerographic paper for your plans and specs. No more laminating your important documents to use on-site. Rite in the Rain All-Weather Wide-format paper is your tool for more job productivity. The light blue back reduces glare and indicates that this paper can go outside. 3 in core. Not for ink-jet printers.